Every year I start with intentions to create healthy habits, so I was excited to learn that multiple forms of tea have health benefits. We all know green tea is the healthy option that is full of antioxidants and all things good for you! But did you know that green tea isn’t the only healthful infusion? Any excuses to drink more tea sounds good to me! Now if only the sweet treats and savory delights that so perfectly accompany teatime were just as healthy. 1. White Tea: Made from baby leaves, is rich in antioxidants, which promote health by preventing disease and combating the effects of aging, and in theanine, a rarely occurring amino acid. Theanine’s many benefits include anxiety reduction, mood improvement, an increase in concentration and relaxation, and the boosting of the immune system. White teas are very lightly processed. 2. Oolong: Somewhere between black and green, Oolong boasts the largest variety of flavors. It is classically made in Taiwan and the southeast region of China. Production begins by tossing the leaves to bruise their edges, a process that releases enzymes to react with oxygen; the centers remain green. The extent of oxidation varies among tea estates. The results may include richer teas with a higher level of processing, amber-hued teas with hints of fruit or chocolate, and still others that bear floral and aromatic notes, nudging them closer to green teas. Among other health benefits, oolong lowers cholesterol, boosts metabolism, reduces arterial plaque, and aids in weight loss. 3. Black Tea: Provides the richest beverage, as it undergoes full oxidation. For this reason, milk is often added, especially among the British, to temper the robust flavor. The taste, body, strength, and color vary, depending on time of harvest, elevation, origin, degree of oxidation, and leaf varietal. Black teas are rich in antioxidants that improve cardiovascular health and lower cholesterol. I love tea and drink it all day long. It’s hard to pick a favorite, since I like finding new teas and trying them. I enjoy black teas and white, as well as green. 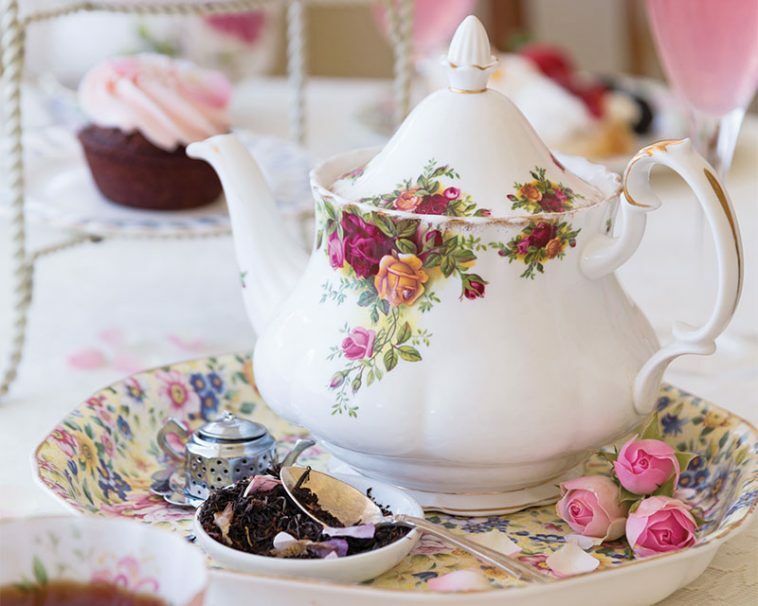 I love to give tea parties, and both my daughter and granddaughter have grown up with them. Now I enjoy tea with friends. A nice cup of tea is a lovely way relax or to begin my day. I am a black tea lover…just can’t really say I love any other than good old English Breakfast! With milk, of course! I drink tea with all my meals and at bedtime,too. I drink it straight,no sugar or milk. Black tea,but decaffeinated. Will try the flavored teas my cousin sent us for Christmas. I do not know if decaffeinated comes in various flavors. Thank you for all the lovely magazines you publish. I too, love tea. It is such a nice custom! I think it may be true that every culture has some sort of tea ritual. Even though it is healthy, there is one thing to remember (especially if you have any sorts of nutritional issues) and that is that it may inhibit the body’s absorption of some nutrients, especially iron. So, if you are a person who is deficient or has an excess, it might affect you. It depends on the time of day. For breakfast I love Taylor’s of Harrogate Scottish Breakfast Tea as it’s bold and wakes me up. In the afternoon I love Twinings darjeeling or roiboos. In the evening it’s Japanese sencha green tea or when I need help falling asleep Traditional Medicinal’s camomile or valerian with a small amount of honey. Hands down, Earl Gray (Harney & Sons my favorite), but a cup of Lady Gray is quite nice too. Love reading your blog along with the comments from all of the others. As Miss Anne of Green Gables would say, we are kindred spirits. Have a wonderful winter; it is a beautiful season for reflection and renewal. Lyons Irish Tea is my absolute favorite with Twinings Irish Tea a close second! Full of flavor and hearty! 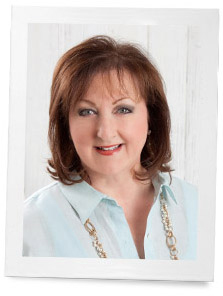 I always enjoy your blogs and your magazines are gorgeous! I love reading your blog. It always inspires me. Thank you for this excellent information. shared this with my customers. You keep writing, I’ll keep reading. I have enjoyed many excellent teas; but, for me, there is definitely an emotional overtone to my favorite choice(s). My sentimental favorites, Constant Comment (Bigelow) and Earl Grey (Twinings’), were introduced to me by my closest friend when we lived in the Cascades over 40 years ago. Twingings Lady Grey (British pack) is a combination of the two and always a perfect choice –especially when reminiscing. I love all teas, either hot or cold. Love it!!! It’s great for diabetics with no added sugars! I am an English mystery book lover, not one book goes with out having Tea, the act of a late afternoon break. I used to drink black tea with lemon and sugar. Now I drink herbal blends but next time I buy tea I am getting. White tea. I enjoy a small pot of Victorian Earl Grey black tea most afternoons. My friends and I have been taking turns hosting a “High Tea” for several years now. It gives us an opportunity to use our beautiful inherited tea sets. We have one planned for tomorrow. When working, I forgot I had tea time around 3:30….an electric tea pot in my office, and was open to anyone wishing a cup. I’m going to go back to 3:40 tea too. Tea and a treat! Great time to relax and refresh!!! Thank for the reminder!!! I love Irish breakfast tea for its full body in the am….. Both my husband and I drink green tea with supper. He has some esophageal problem and it is relaxing and was recommended with meals. Besides, we just like it. 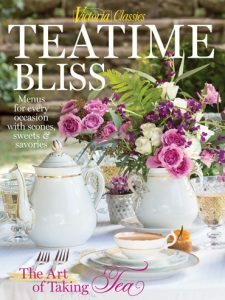 Thanks for “tea time” magazine! I love everything that goes with tea. I love tea of all kinds, but my favorite is Earl Grey. I have decided that this is the year I go back to my European roots. In Europe, growing up, my grandmother and mom served tea daily at precisely 3:30. Not a grand affair, but always an opportunity to sit down with a cup of tea, a little treat, and spend ten mintutes together. Over the years, once my girls moved away from home, I had stopped doing this. I’m back to doing this in my every day, it is good to take a break from working, and little touchstones like this add daily elegance to life!